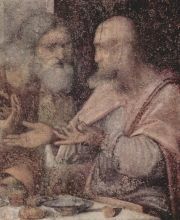 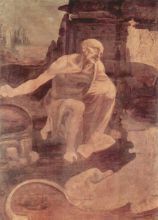 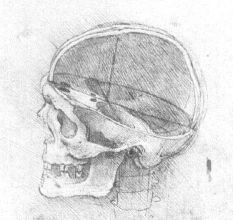 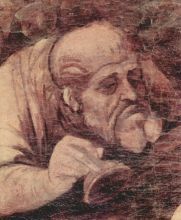 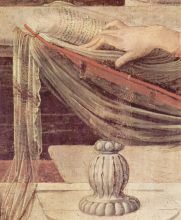 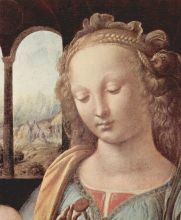 Leonardo di ser Piero da Vinci (pronunciation (help·info)), April 15, 1452 – May 2, 1519) was a Tuscan (Italian) polymath: scientist, mathematician, engineer, inventor, anatomist, painter, sculptor, architect, botanist, musician, poet and writer. 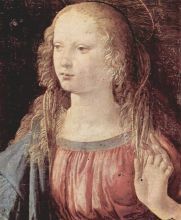 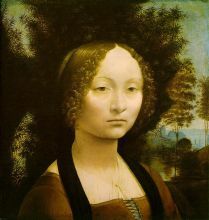 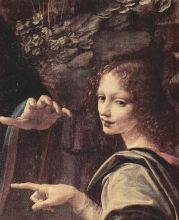 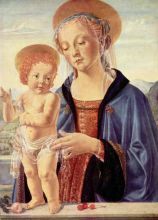 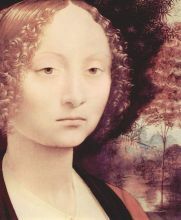 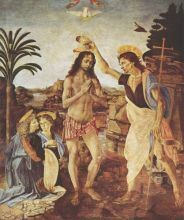 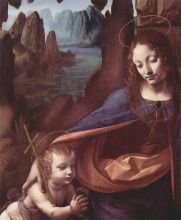 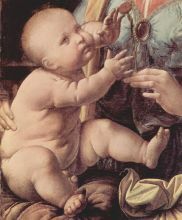 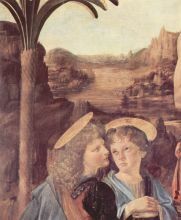 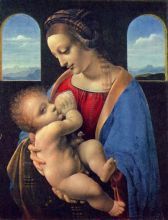 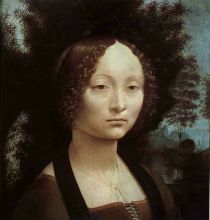 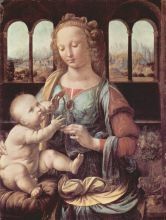 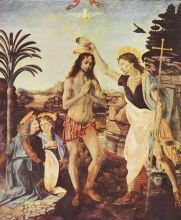 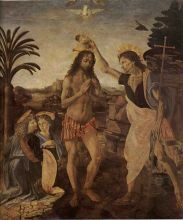 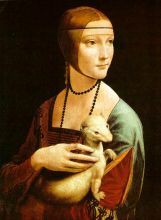 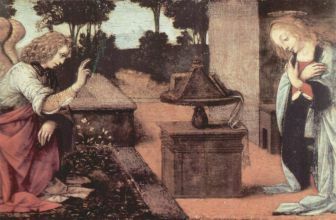 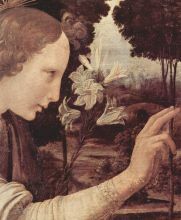 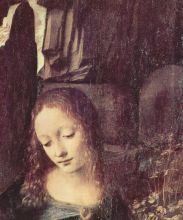 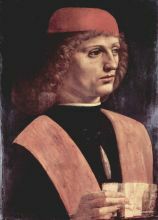 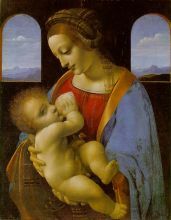 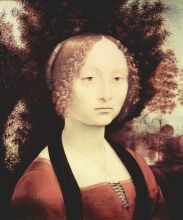 Born at Vinci in the region of Florence, the illegitimate son of a notary, Piero da Vinci, and a peasant girl, Caterina, Leonardo was educated in the studio of the renowned Florentine painter, Verrocchio. 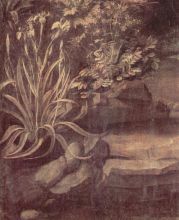 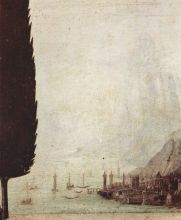 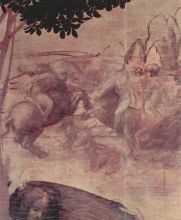 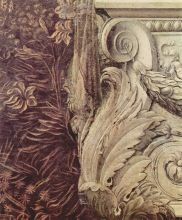 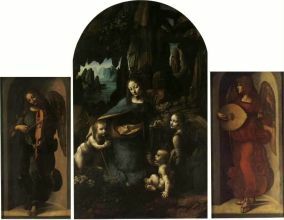 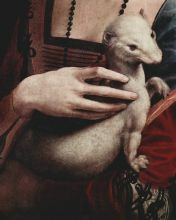 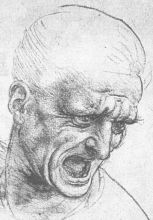 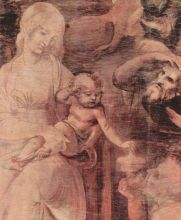 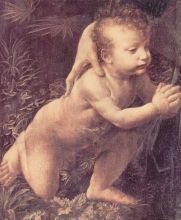 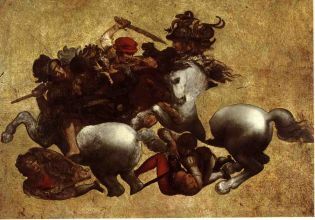 Much of his earlier working life was spent in the service of Ludovico il Moro in Milan where several of his major works were created. 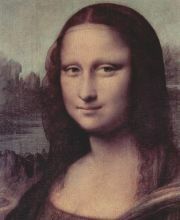 He also worked in Rome, Bologna and Venice, spending his final years in France at the home given him by King François I. 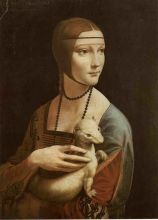 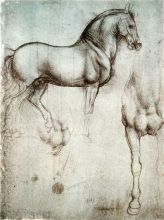 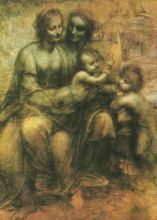 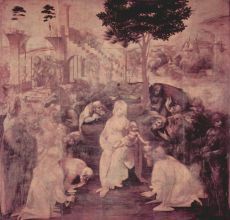 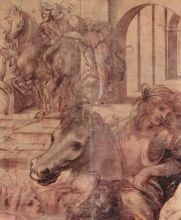 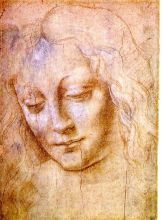 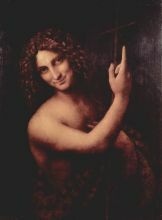 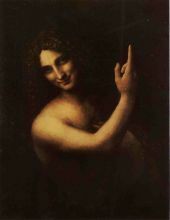 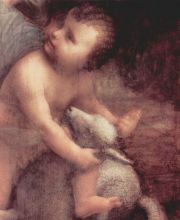 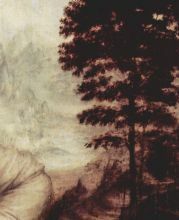 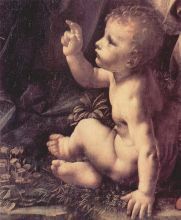 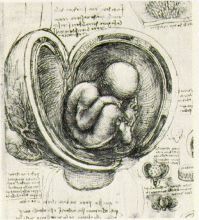 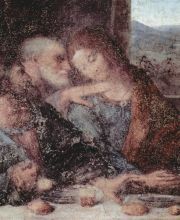 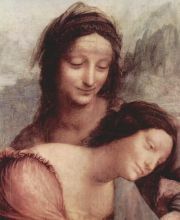 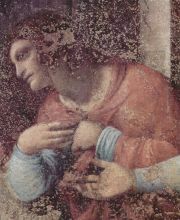 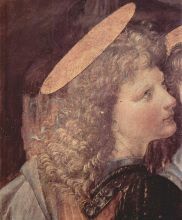 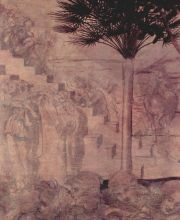 It is primarily as a painter that Leonardo was and is renowned. 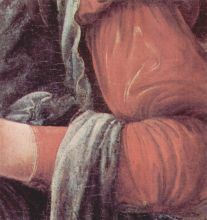 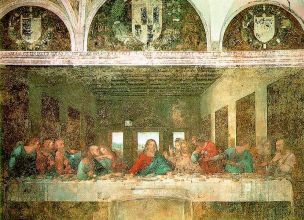 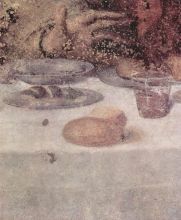 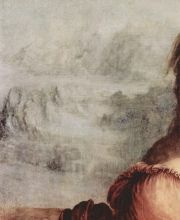 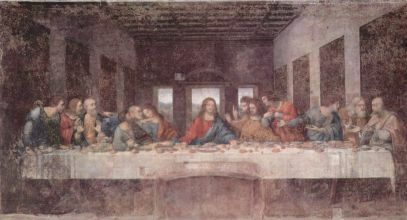 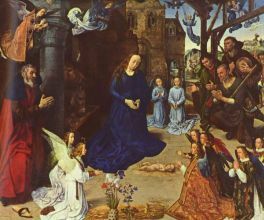 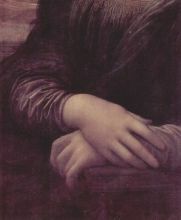 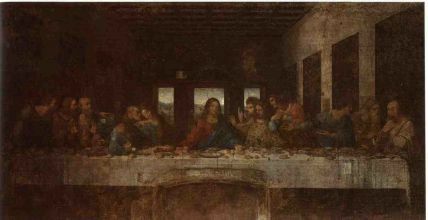 Two of his works, the Mona Lisa and The Last Supper occupy unique positions as the most famous, most reproduced and most parodied portrait and religious painting of all time, their fame approached only by Michelangelo's Creation of Adam. 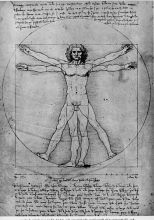 Leonardo's drawing of the Vitruvian Man is also iconic. 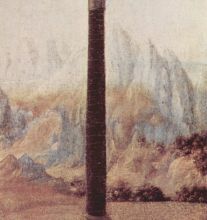 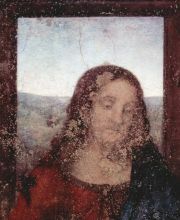 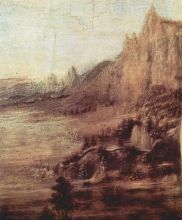 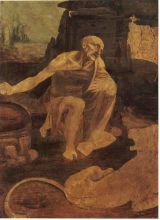 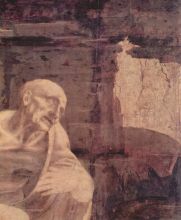 Perhaps fifteen paintings survive, the small number due to his constant, and frequently disastrous, experimentation with new techniques, and his chronic procrastination. 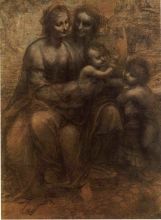 Nevertheless these few works, together with his notebooks, which contain drawings, scientific diagrams, and his thoughts on the nature of painting, comprise a contribution to later generations of artists only rivalled by that of his contemporary, Michelangelo. 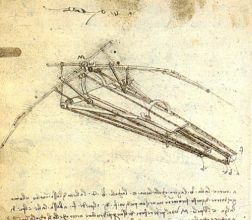 As an engineer, Leonardo conceived ideas vastly ahead of his own time, conceptualising a helicopter, a tank, concentrated solar power, a calculator, and the double hull, and outlining a rudimentary theory of plate tectonics. 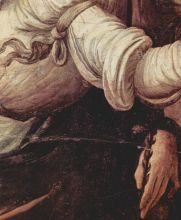 Relatively few of his designs were constructed or even feasible during his lifetime, but some of his smaller inventions such as an automated bobbin winder and a machine for testing the tensile strength of wire entered the world of manufacturing unheralded. 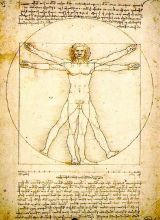 As a scientist, he greatly advanced the state of knowledge in the fields of anatomy, civil engineering, optics, and hydrodynamics.